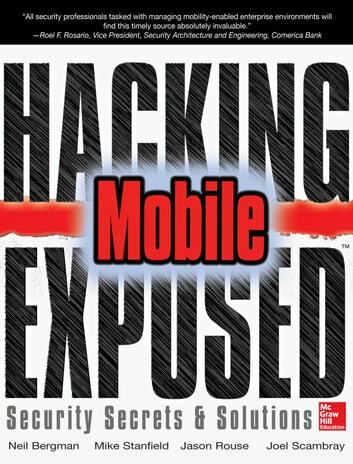 Identify and evade key threats across the expanding mobile risk landscape. 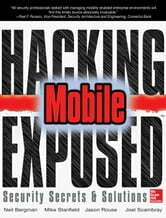 Hacking Exposed Mobile: Security Secrets & Solutions covers the wide range of attacks to your mobile deployment alongside ready-to-use countermeasures. Find out how attackers compromise networks and devices, attack mobile services, and subvert mobile apps. Learn how to encrypt mobile data, fortify mobile platforms, and eradicate malware. This cutting-edge guide reveals secure mobile development guidelines, how to leverage mobile OS features and MDM to isolate apps and data, and the techniques the pros use to secure mobile payment systems.